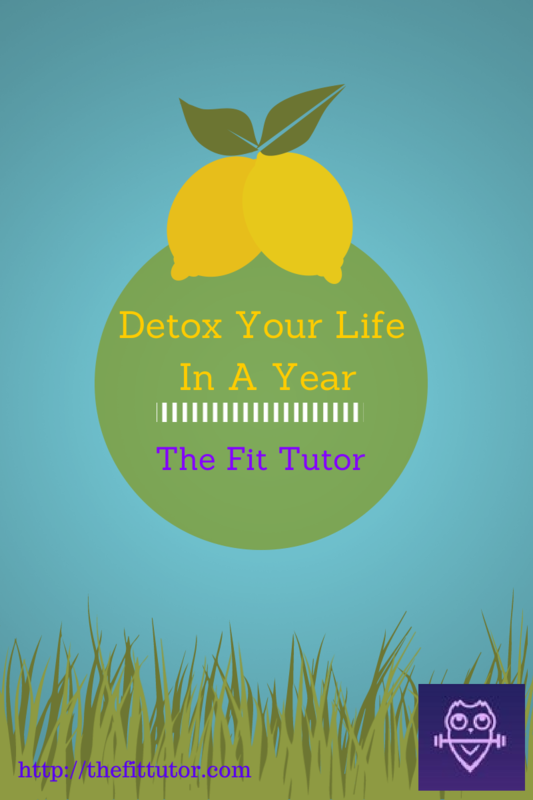 This month’s Detox Your Life in a Year post is an important one! Your deodorant may contain lots of harmful chemicals, and you’re putting it on an area of your body that absorbs up to 100% of what you put on it. 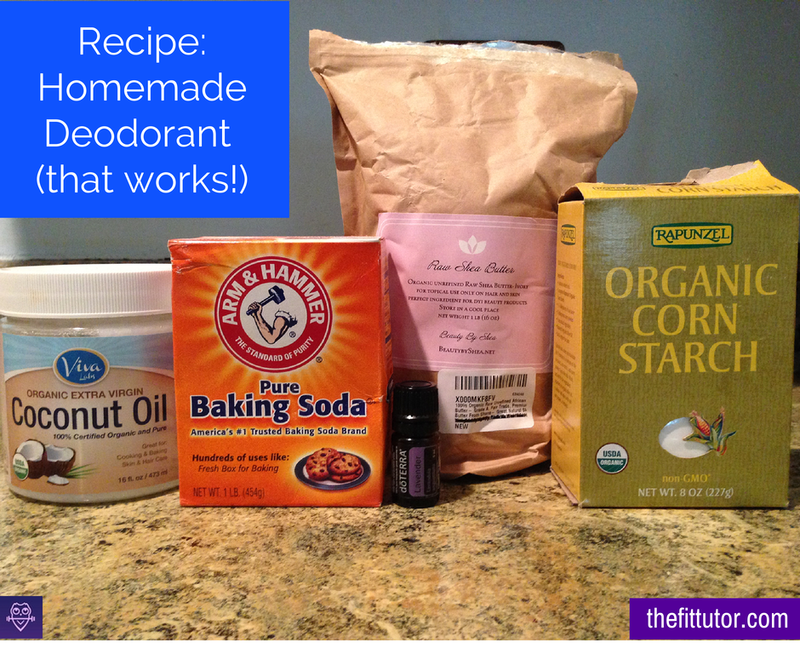 If you’ve been thinking about switching up your deodorant or wanted to try making your own, now is the time! 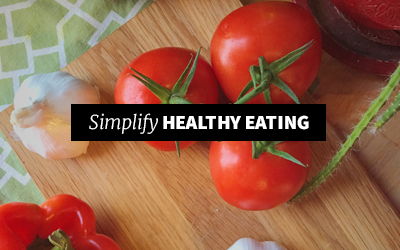 It has been one of my favorite lifestyle changes, and it’s an interesting conversation starter. Our detox posts give you monthly tips to help you decrease your chemical exposure and live a more natural life. We mentioned personal care products last month, but I felt deodorant needed its own post! First of all, it’s good for you to sweat. Sweating is a way your body naturally releases toxins, lowers body temperature, clears skin, and fights infections. Antiperspirants block your sweat glands, so they might not be a healthy choice. Body odor comes from bacteria, not from your sweat glands. Our armpits have aprocrine glands, which secrete a thicker sweat. This produces odor when combined with the bacteria on our skin. Aluminum, which is a metal, is the primary ingredient used in most antiperspirants. It helps block sweat from escaping pores, and has been linked with breast and prostate cancers and Alzheimer’s disease. Deodorants don’t usually use aluminum. They instead use other potentially harmful ingredients to kill the bacteria on our skin. Parabens are considered endocrine disruptors. They are in anything from tupperware and shower curtains to lotions and deodorants. Parabens mimic estrogen and can upset our delicate hormonal balance. They are linked to breast cancer, skin irritation, contact dermatitis, rosacea, and fertility problems. 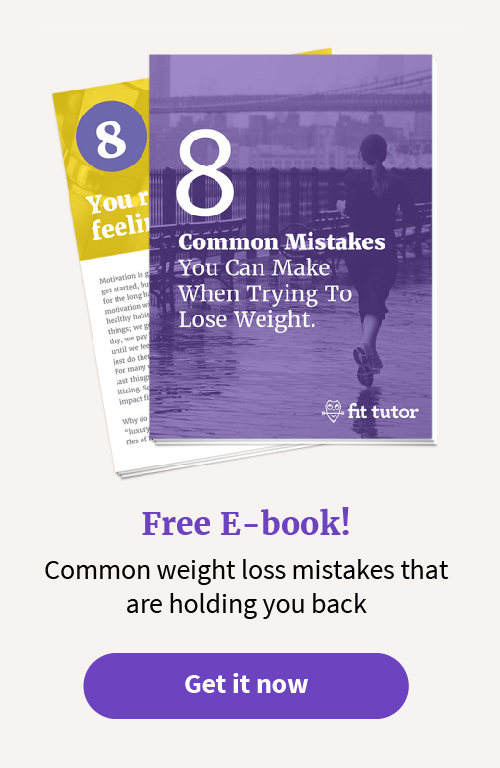 Anything that affects your hormones can also affect your weight. 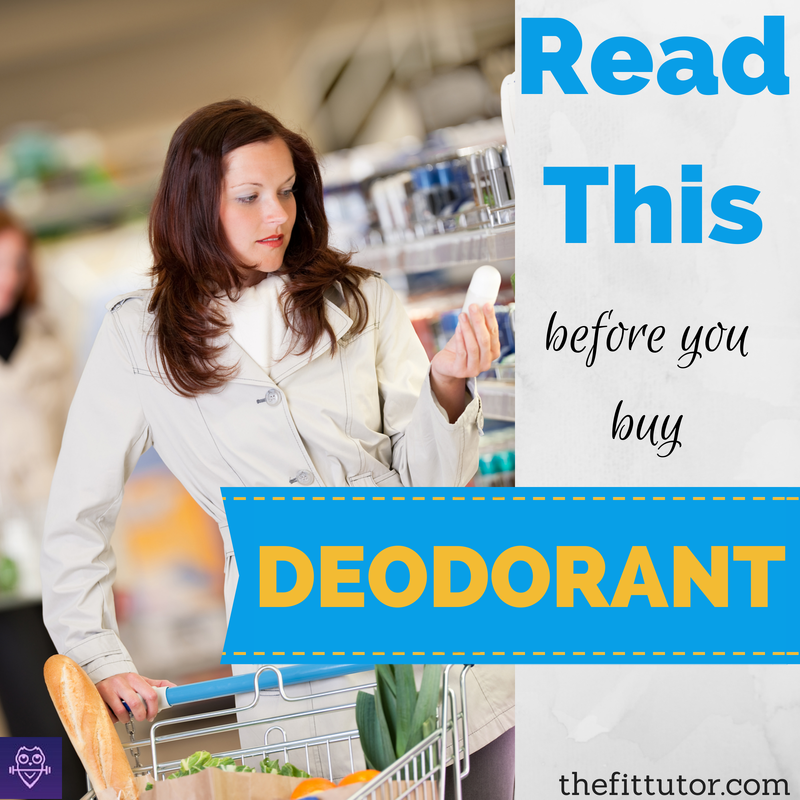 Both deodorants and antiperspirants usually contain fragrance. When we discussed Fragrance last month, we learned companies don’t have to disclose the chemicals used because of trade secrets. “Fragrance” could mean hundreds of chemicals combined to make a particular scent. These chemicals are linked to hormone disruption, birth defects, infertility, breast and liver cancer, allergies, and asthma. Other perpetrators include Proplyene Glycol which in large amounts is linked with damage to the liver, heart and brain. Triclosan is a suspected endocrine disruptor. It’s linked with antibiotic resistance in bacteria, skin irritation, liver toxicity, and is harmful to fish and wildlife. 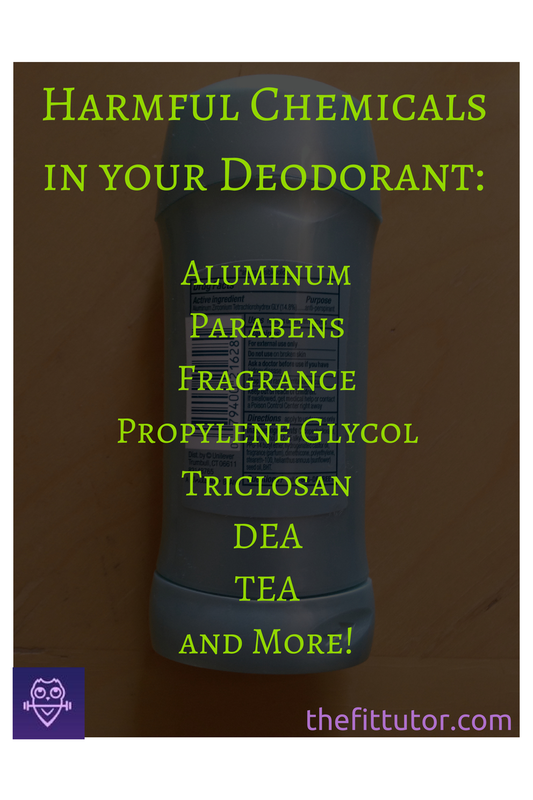 TEA and DEA are also in many deodorants, and are restricted in Europe because they are considered carcinogens. DEA is linked with kidney and liver toxicity, while TEA is linked with allergic reactions. Remember basic science: correlation does NOT equal causation. Just because something is linked with a particular problem doesn’t mean it causes it. However, if you’re trying to detox your life, you want to decrease your chemical exposure as much as possible. I recommend reading this article to help you keep a good balance on the facts and taking precautions when it comes to this topic: Cancer.gov – Fact Sheet. I hesitated to make my own deodorant for two reasons. One was the convenience factor. Number two was the question of when did I become this person who makes deodorant?! My husband jokes that I’m not the same person he married, but my new habits make him feel like he’s back home in Vermont. Making my own deodorant has been slightly inconvenient at times, but it’s cheaper and works better than what I was buying. I’ve tried a few recipes that I’ll share, and I’ll tell you my thoughts on them. Here’s the one I started with. It’s awesome and simple and comes from Nevra at Churn Your Own. Here’s a link to her post. And finally this is my new homemade recipe that I LOVE. Several bloggers use shea butter and/or beeswax in their deodorants. I finally broke down and tried shea butter because even if it didn’t work, it has so many other great uses! I adapted this recipe from Wellness Mama. A few drops of essential oils (I usually use lavender, but I also used lemongrass this last time). Melt the coconut oil and shea butter in a pan on the stove and then combine with other ingredients. Sometimes you have to keep homemade deodorant in the fridge because of the coconut oil, but I haven’t had to do that with this recipe. To make a normal sized amount, my “one part” was 2 tablespoons. I keep mine in a glass container or a reusable deodorant stick, which might be good for those of you who don’t like the idea of rubbing your armpits! ;) The shea butter has stopped any irritation I would get from the other products, and it has been effective for me. And for good measure, Do you even need deodorant? 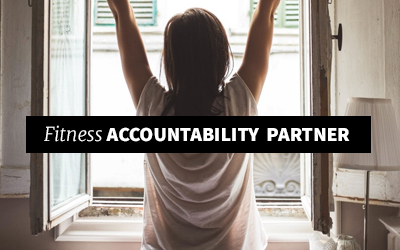 Make it a goal this month to try out one of these recipes or brands. 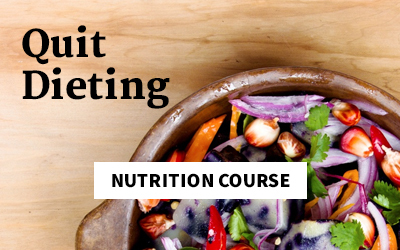 Let me know what you tried, how you liked it, or if you have a different tried and true recipe or brand! I love being on this journey with you! And don’t forget that exercise is one of the best ways to stay healthy and detox. 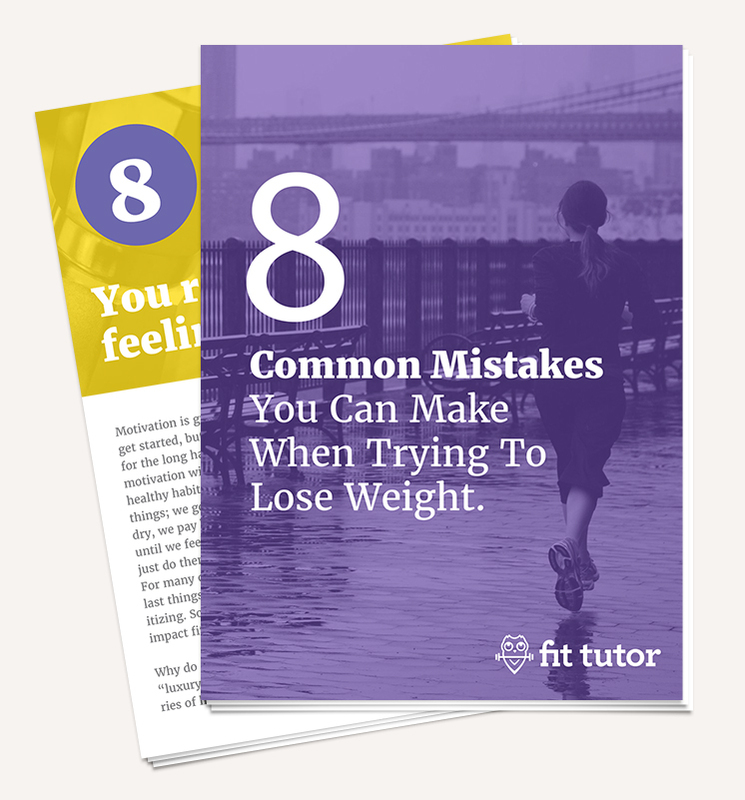 By joining The Fit Tutor community you can get workouts designed by a personal trainer right in your home, for as little as $11.99/mo! Great article, Allison!! I quit using OTC deodorants and am still trying to find a mix that works for me. I also find that baking soda irritates, so maybe adding the shea butter would be the trick! Thanks Terese! If you try it let me know if it helps! It really helped me. I’ve been using it for awhile and have had only 1 case of very minor irritation. Much better than before. And it really works! Props to you for quitting your OTC deodorants! :) Woo hoo! Thanks for the post. I have tried several recipes similar already. Your post on cosmetics spurred me to try them about a month or so ago-yeh! I have wanted to try a recipe that has Shea Butter, but it is so stinkin expensive! I have enjoyed adding a little aloe vera (straight from my plant- no additives) instead of a vitamin E capsule that was called for in my recipe and it worked pretty well. The Clary Sage should work well and is good at regulating other body systems as well. I have used lavender and liked it. Cheers! Liz I’m so glad you’ve already tried based on the last post- yay! Good for you! Some people have told me there are shops around Greensboro that sell raw shea butter for much cheaper- so maybe you can find some around your town? Ask around- you never know! It seems like what I bought will last a long time, which makes me feel better about buying it :) I think I have Clary Sage- I’ll have to try it! And great tip about the aloe – awesome idea! I don’t understand how people still put their trust behind anti-perspirant brands and cosmetics loaded with chemicals. There are just too many safe options out there to use anything but an all-natural product. Lavilin and Truly’s are the best that I have come across.